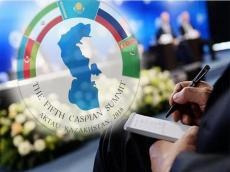 President of the Republic of Kazakhstan Nursultan Nazarbayev has hosted an official reception in honor of participants of the 5th Summit of the Heads of State of the Caspian littoral states in Aktau. President of the Republic of Azerbaijan Ilham Aliyev attended the reception. President Ilham Aliyev completed his visit to Kazakhstan.